Favorite place to tangle: during the summer in the shadow of a tree in the garden, in wintertime, cozy at the kitchen table, in the middle of the house. How I use the Zentangle Method in my life: The Zentangle Method brings more balance and inner peace into my life. I feel happy when I’m drawing. Before I discovered this method, I was a nervous person, now I live more at the moment and learned to appreciate what I have drawn. 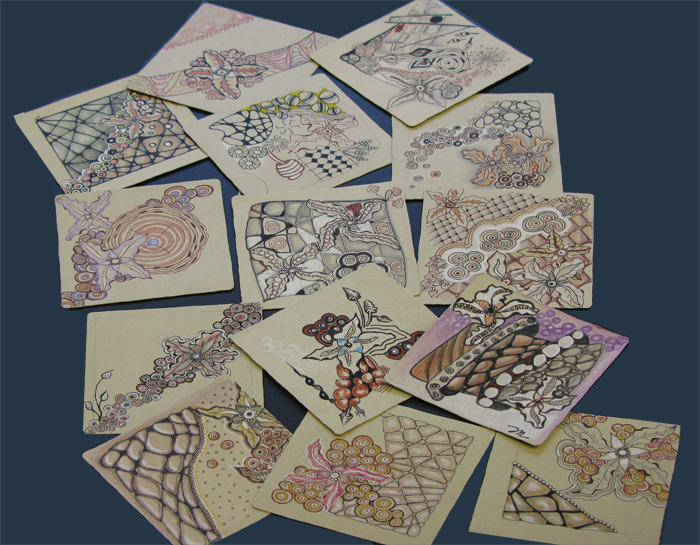 The Zentangle Method proved that it is possible for everyone. That is exactly what I tell my students during my workshops. I love the possibility to connect with people from all over the World. I give and receive a lot of comments and e-mails, thanks to the challenges. I couldn’t miss it anymore. 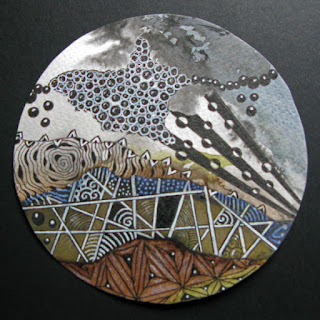 My favorite story or memory about teaching the Zentangle Method is: one of my students was Margit, a woman of 45 years old. She was in a severe car accident when she was 18 that caused brain damage. Before the accident, she wanted to start the academy of art because she was very talented. Because of the brain damage it was impossible for her. She had to put away her dreams and started easy part-time work in an office. She came to my lessons and was so excited to discover she liked this kind of drawing very much. Margit told her tangle adventures to her parents and relatives. A friend of the family teaches children with autism. Margit taught this friend the Zentangle Method and now the autistic children also like to draw this unique style. 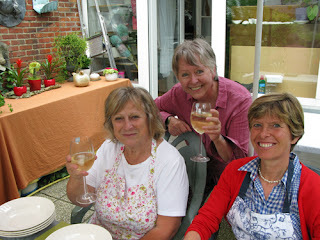 I will keep in touch with Margit and frequently, she shows me her beautiful tiles and the work of the autistic children. 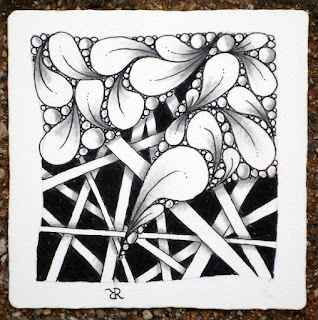 Through my experiences as a CZT, I have learned: The Zentangle Method is really possible for everyone, it can connect people and it makes yourself and others more creative, more satisfied and more happy. If I’m not tangling, you will find me . . . in the woods, walking with our two dogs or reading a book with a lovely song on in the background and a cup of herbal tea. 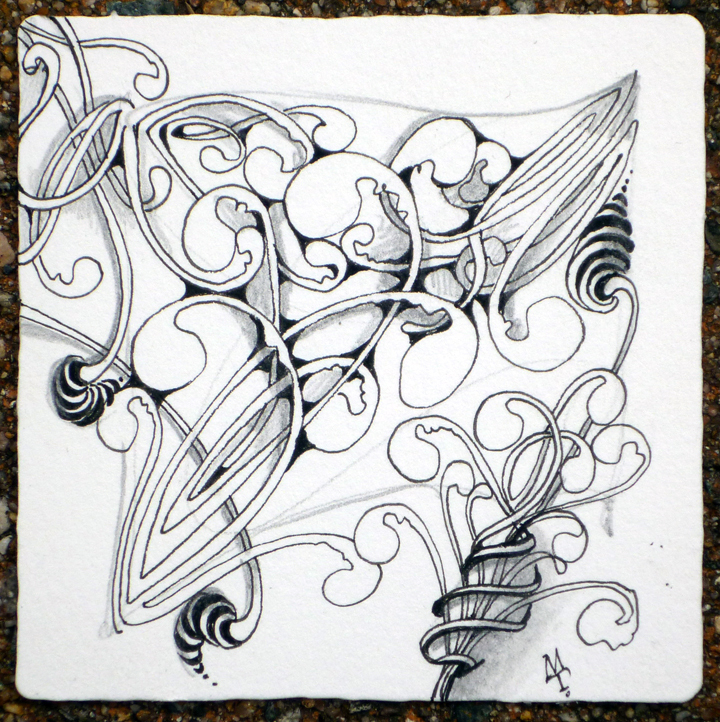 Many people send us pictures of their Zentangle art and tell amazing stories about how drawing Zentangle art benefited them. 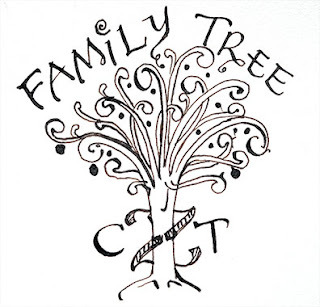 They describe rising above fear, depression, grief and suicide. They report relief from severe pain, mental and physical traumas, addictions, insomnia, and even selective mutism. When Maria and I began teaching, we did not expect such stories. At first, I thought it might be because when you enter the relaxed focus of Zentangle art you access a recess from the pressures and demands of the world. For example, imagine picking up something light, like a glass of water . . . no problem. But hold that glass at arm’s length for a while and your arm will ache. However if you can put it down every now and then, it’s easier to hold it out for a longer time, even though it still weighs the same. Even knowing you can put it down whenever you need helps. This morning I began to wonder if there’s something more behind these stories and came up with another analogy. Imagine you are riding in a car and the radio is playing something irritating, but you don’t know how to change the station (perhaps you borrowed your friend’s car). You could drive to the radio station, confront the people there and insist they change their broadcast or, you could pull over and learn how to tune in a station you like. Maybe these amazing stories have something to do with discovering a metaphorical inner tuning dial that can access other stations, even if only while tangling. The point of this metaphor is not that you should tune in a particular station, rather that such a method to deliberately shift focus is available at all . 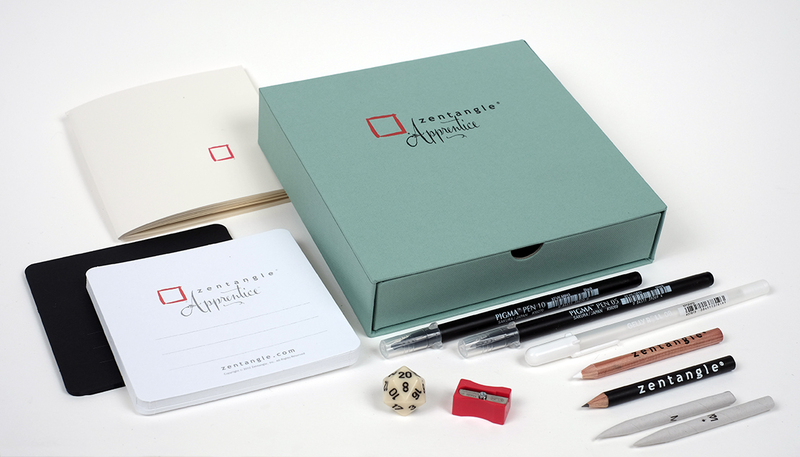 . . and all wrapped in the enjoyable experience putting pen to paper and creating unexpectedly beautiful images in a fun and relaxing way. These are the sorts of thoughts and questions that fascinate me. What are your experiences? What are your thoughts? I look forward to reading about your experiences and your ideas. 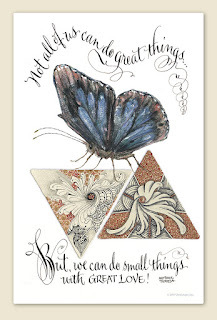 The art at the beginning includes Maria's and my 3Z Tiles (from the "12 Days of 3Z" Blog series) and Maria's lettering and butterfly. We made this to welcome students to our 2017 Certified Zentangle Teacher training seminars. Particularly this one, which is all about getting back to basics of putting pen to paper in ways that bring a focused comfort. So, we invite you to enjoy this comforting conversation from 2012. Share with us your comments below. You can see the earlier comments at the original post of this conversation here. Congratulations, Kat! 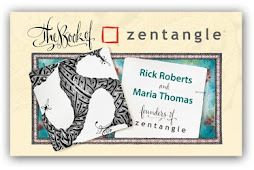 Please email maria @ zentangle dot com to let us know where to send your Zentangle Apprentice Kit! My mom always said that about me and my brother and sister as we were growing up. It made me giggle because I felt like she was the one guiding and teaching us. I just assumed she was kidding or trying to make us feel good. Now that I'm a mother, I'm learning what she meant. Every day is a new lesson as I watch my children explore, discover, and absorb all that they can from life. I have learned to listen to what they have to say because they truly do have something to say. They inspire and challenge me. They bring a perspective to situations that I would not have seen. They are funny and brilliant. Their creativity is raw and unfiltered. I remind myself daily to stop and soak it all in. Naturally, I have special connection with my children, but I have learned that all children are amazing and that they charm and enlighten those around them in magical ways all over this world. Teaching the Zentangle Method is a beautiful thing for me. I love seeing my students' eyes light up as their creations morph from being a collection of pen lines into being actual art. I teach all ages of students and I love it all. I do notice that children's responses to my teachings and suggestions are much more animated and confident than adult responses. Many times, the kids will boldly go in a completely different direction than I suggested or instructed. 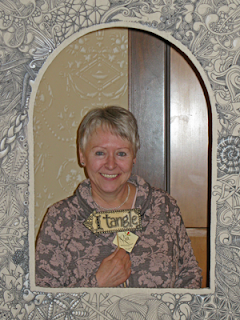 I encourage this enthusiasm to explore uncharted and unexpected territories. There is also much less self-criticism. They seem less concerned with the outcome than adults. I later hear them commenting on their classmates work as they take a moment to appreciate each others’ creations, not just their own. I love the chaos and eagerness in their strokes. I love to listen to the giggles and chatter between one another. I secretly know that I am learning more from them than they are learning from me. Full disclosure . . . I had no part in the planning of this video. What have you learned from the children in your life? Tell us your story in the comments below. We will pick a random name from our commenters. If it's you, we will send you one of our new Zentangle Apprentice Kits (ZAK) . . .
. . . for the child in your life. 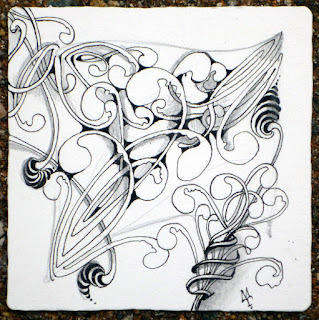 This and other Kitchen Table Tangles are available to subscribers on our app: Zentangle Mosaic. For more information on the app visit this link.